There are a variety of business credit card mistakes that a small business owner will likely experience with their use. While business credit cards offer many financial benefits, a business owner needs knowledge, discipline and care in how best to use them as a source of business working capital. And, since a business credit card is an unsecured line of credit, the financial lender obligates that the business owner provides a personal guarantee of repayment. Hence the more you know about what NOT to do with a business credit card, the less personal risk to you and your business. Let’s start with the most obvious business credit card mistake. A business credit card has a monthly revolving credit limit. Whatever the pre-established amount approved, you should avoid the temptation of using all of your credit limit, even if you pay it completely at the end of the billing period. Why? Because it will negatively affect your business credit score. Your business credit utiization rate should be no higher than 30%. That is calculated by comparing your total business monthly spending versus your total credit limit (which can include multiple cards). So, what do you do if your business spending normally will exceed the credit utilization rate and you don’t see means to reduce your spending? One option is to increase the number of business credit cards and split the spending across the entire line, to keep the total under the 30% utilization rate. Remember each time you apply for an additional business credit card, your business will take a hit due to a hard credit check, but that is normally only for a two year period. To avoid this business credit card mistake requires discipline in how you manage your business priorities. As the owner you need to be aware of your business’ financial situation before you use the business credit card to pay for expenses. Many businesses owners confuse using plastic versus cash. You need to view them in the same manner. You should not spend beyond your business’ financial means. Your business should have a stable cash flow to allow you to settle your business credit card debt in full every month. What are some of the consequences if you don’t pay off the business credit card monthly balance? Whether it’s making only minimum payments, late payments or missing payments, all of them are financially bad for you and your business. If it is just making minimum payments on the business credit card, you are increasing the amount of interest your business is paying every month (excluding a 0% APR promotional period) and you are adding to the time necessary to pay off the complete balance. If it a late or missing payment, your business will incur late fees, interest rate increases and likely drop in credit score. The drop in your business credit score also has negative implications for future business financing. Business owners are busy. Paying business expenses with a business credit card, particularly pre-authorized monthly expenses, it is easy to lose perspective in the totality of your business expenses. It is a major business credit card mistake to pay the bill prior to reviewing the billing statement. First, you want to ensure that there were no erroneous or fraudulent charges present or anticipated credits not applied. Second, you want to be aware of your business expenses and where they can be reduced or eliminated. Also, you can avoid surprises, since most likely you can review online the status of your credit card expenses during the course of the monthly billing cycle. Remember when we discussed the importance of maintaining your business credit utilization rate at 30%? If the opportunity presents itself to cut up one of your high interest business credit cards, don’t do this and avoid another business credit card mistake. Simply savor the moment, congratulate yourself as a smart business owner, take it out of your wallet and place it in your desk drawer. Leave the account open as an untapped line of credit until there is a future financial emergency. Since your business’ spending has not necessarily been reduced, you want to keep that source of credit in your business profile so that your business credit utilization rate is not adversely affected. Also, if the business credit card is an older account, the average age of your credit account will not decrease, improving your business credit score. The financial lender of the business credit card normally allows the business owner to have multiple cards assigned to one account. This allows you to delegate business credit cards to your employees. 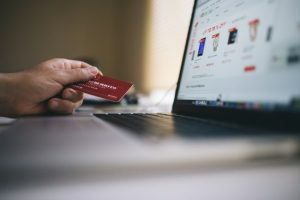 While there are a variety of reasons you might use to justify this decision, this is a self-inflicted business credit card mistake that will haunt you. DON’T DO THIS. There are a variety of ways that your employees can be reimbursed for expenses they incur in the course of conducting business other than providing a business credit card. While you would like to believe that all your employees are trustworthy, you do not want to put them in a situation where they are using business funds (credit card) to pay for personal items. This type of behavior places your business finances at risk, short-term or long-term. It bears repeating: You as the business owner have issued a personal guarantee to the financial lender when you opened the business credit card account and is personally liable for all usage of the account, not your employees. One of the most common business credit card mistakes for any small business is not keeping their personal expenses separate from their business finances. While you can document everything correctly and keep a record of both expenses, it will still create confusion in one way or another. It’s best to have a separate card intended for personal expenses and another for business. This also helps to avoid affecting your personal credit score and your business credit score. While they are definitely related, they should be as separate as possible. Finally, you will gain the eternal gratitude of your accountant. Avoid selecting a business credit card that reports your business activity to your personal credit profile. One of the major reasons a new business uses a business credit card is to develop its business credit history and qualify for other types of future business financing. This only occurs if the business activity is reported to the business, not consumer, credit bureaus. Also you want to avoid lowering your personal credit score due to high business balances and utilization ratios. To avoid this business credit card mistake, review the fine print in the agreement before opening the account. 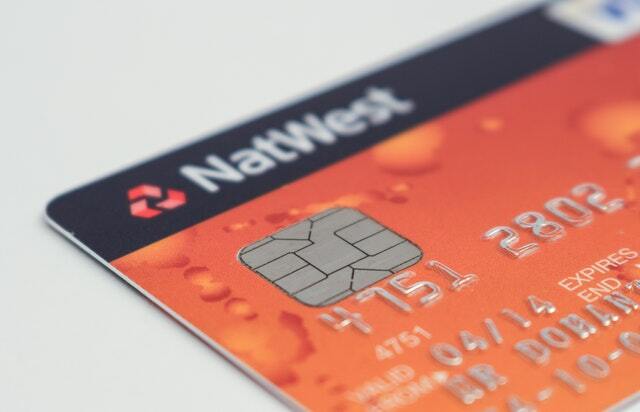 Seven business credit card mistakes are presented with suggestions on how to avoid them. The more mature your small business is, together with your personal experience, will allow you to take advantage of the many benefits a business credit card offers as a source of unsecured capital. With proper use, the business credit card serves as an asset to your business that will create future opportunities for additional financing options.